Content: It’s a bit long, and somewhat involved, so maybe it’s not for reluctant readers though I think it would make a good read-aloud. It’s in the middle grade (grades 3-5) section of the bookstore. 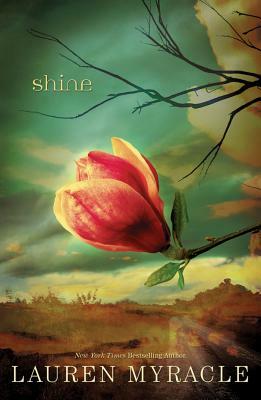 I was pretty sure, when I picked this one for my mystery book club this summer, that I had never read it before. But, about a third of the way into it, I realized if I hadn’t read it before, it must have been a pretty predictable book, since I basically knew (most of) what was going to happen. So, I will err on the side of bad memory and say I’ve read this one in the past (sometime) and not that it’s predictable (though maybe it is, a little bit). The basic story is this: Reynie (and four others: Sticky, Kate, and Constance) is an orphan who answers an ad looking for gifted children to take a test. 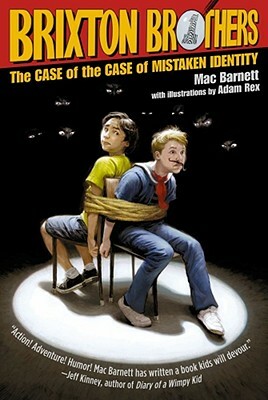 Once he (they) pass the test, he finds himself working for Mr. Benedict on a secret project: someone has been transmitting subliminal messages to the public (read by children) and Mr. Benedict needs them to infiltrate The Learning Institute for the Very Enlightened (or LIVE) where the messages are coming from and stop them. 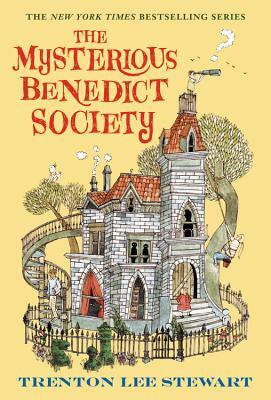 From there, Reynie and his friends embark on a dangerous mission to fulfill Mr. Benedict’s wishes and stop LIVE (or is it EVIL?) from taking over the world. On the one hand: this was kind of fun. It was nice to see Reynie and company working together, using each of their own strengths, to overcome the bad guys. It took a while — this book takes place over months, not days — but they eventually work together to solve the ultimate mystery. But, on the other hand, did it really need to be this long? And while I got that the mystery was figuring out who was sending the messages and then how they worked and how to stop them, I felt a bit disconnected from the whole book. Usually, with mysteries, I like to be aware that (if I am clever enough) I could possibly solve the puzzles and mysteries as well as the characters can. But this time, I felt like Stewart was just laying everything everything out for us, walking us through each step and not leaving readers any chance to solve the mystery on their own. Which made me a little disappointed in the book. Content: It’s got short chapters, and simple text. It’s in the beginning chapter book section (grades 1-2) of the bookstore. The girls reminded me, when I picked this one up, that on a vacation we listened to one of the later books in this series. They enjoyed it, or at least they have memories of enjoying it. I remember this, vaguely, but had never actually read these. 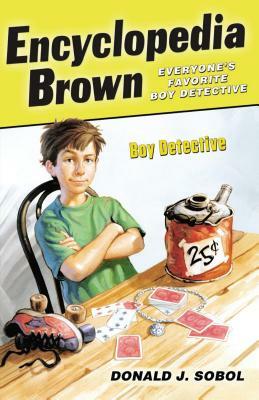 There’s not much to them: Encyclopedia Brown is presented a mystery — everything from a tent that the resident bully claims is his to missing roller skates — and then the reader is encouraged to solve it. I’ll be honest: I didn’t get a single one. I came close a few times, but never actually guessed the right answer. I went back and looked, and the clues were there. I’m just not a careful enough reader to catch them. Even so, it was a fun little read. Content: There’s some scary moments, but nothing too intense. It’s in the Middle Grade Classics section of the bookstore. 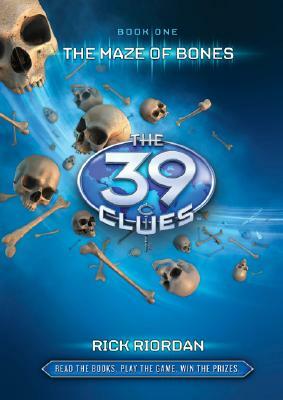 I adored Nancy Drew when I was a kid. (Nancy Drew and Little House on the Prairie and Wrinkle in Time: those were the books I read and re-read.) I don’t know what it was about these books that drew me to them, whether it was Nancy as a character or just the mysteries and adventure I liked immersing myself in, but I have fond memories of reading these. 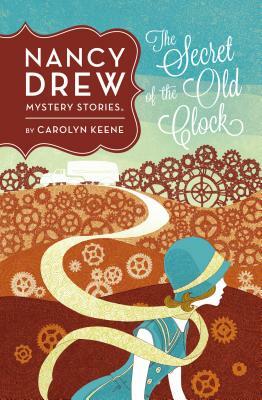 So I was a bit wary as I dipped back into the world of Nancy Drew as an adult (after nearly 40 years!). Would it hold up? Well… yes and no. The no is easier to handle: the writing is not only formulaic (which is to be expected, as it is written by committee, something I didn’t know as a kid) but also quite mundane. The thing that really stood out was how expressive Nancy’s eyes were: they sparkled and flashed and twinkled…. how many adjectives can they use to express her eyes and what purpose does it really serve? It wasn’t a mystery that a reader could get involved in; it wasn’t meant to be a puzzle that the reader could solve, but rather we were along for the ride, watching as Nancy got into scrapes and met people and was determined enough to find the solution. In this case, she accidentally stumbled upon a family dispute: Joseph Crowley died and was supposed to have left money to his relatives and friends, all of whom were less well off than he was, but it turned out that he left the money to this snobbish, well-off family in town instead. Everyone, Nancy found, was convinced that there was a newer will. But no one knew where it was. The thing I did like about this was Nancy. Sure, she was a proper 1930s young lady: polite, kind to her elders, friendly and helpful. But, she was also smart, determined, and unafraid to take chances. In this one, at least, she’s out there taking on bad guys and solving cases, and doing it by herself. (I know she picks up a boyfriend and a couple of friends later, but in this one, it’s just all Nancy.) Maybe that’s what I loved about these books as a kid: I wished I could be that determined and risk-taking, and I admired that about Nancy. I still do. I don’t think I’ll revisit any of the others in the series, but I’m glad I reread this one. Content: There are a few f-bombs, and some other mild swearing as well as few instances of disturbing violence. It’s in the mystery section of the bookstore. I’ve been meaning to read this one for a while, just to see what the fuss about the Inspector Gamache stories are (we have a ton of customers who just love this series). This is the first one, which takes place in a small village in Quebec, around Thanksgiving weekend (which, since it’s Canada, is in mid-October…). A local woman, Jane Neal, dies in a hunting “accident”, pierced through the heart with a hunting arrow. Gamache is called in from Montreal to solve this case. 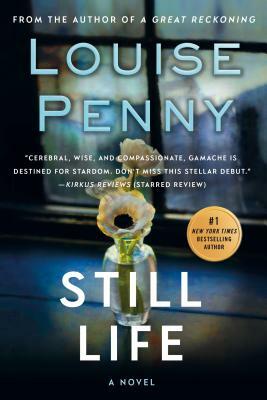 There are ups and downs, setbacks and advances, and a junior detective that I didn’t get why Gamache was so impatient with. It’s a pretty simple plot, and one in which I guessed the ending early on, but then second guessed myself, so I was pretty miffed when it turned out to be the person I guessed. It was an interesting portrait of a small town, but I didn’t love Gamache enough to want to revisit this series again and again. Still, I’m not disappointed to have read it.